Estuarine sediments in regions with prolonged histories of industrial activity are often laden to significant depths with complex contaminant mixtures, including trace metals and persistent organic pollutants. Given the complexity of assessing risks from multi-contaminant exposures, the direct measurement of impacts to biological receptors is central to characterizing contaminated sediment sites. Though biological consequences are less commonly assessed at depth, laboratory-based toxicity testing of subsurface sediments can be used to delineate the scope of contamination at impacted sites. 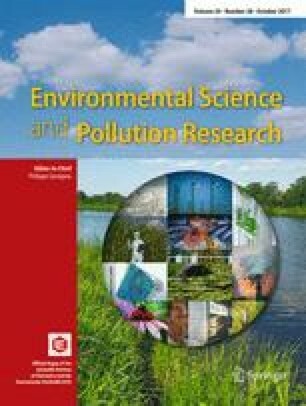 The extent and depth of sediment toxicity in Bear Creek, near Baltimore, Maryland, USA, was delineated using 10-day acute toxicity tests with the estuarine amphipod Leptocheirus plumulosus, and chemical analysis of trace metals and persistent organic pollutants. A gradient of toxicity was demonstrated in surface sediments with 21 of 22 tested sites differing significantly from controls. Effects were most pronounced (100% lethality) at sites proximate to a historic industrial complex. Sediments from eight of nine core samples to depths of 80 cm were particularly impacted (i.e., caused significant lethality to L. plumulosus) even in locations overlain with relatively non-toxic surface sediments, supporting a conclusion that toxicity observed at the surface (top 2 cm) does not adequately predict toxicity at depth. In seven of nine sites, toxicity of surface sediments differed from toxicity at levels beneath by 28 to 69%, in five instances underestimating toxicity (28 to 69%), and in two instances overestimating toxicity (44 to 56%). Multiple contaminants exceeded sediment quality guidelines and correlated positively with toxic responses within surface sediments (e.g., chromium, nickel, polycyclic aromatic hydrocarbon (PAH), total petroleum hydrocarbon). Use of an antibody-based PAH biosensor revealed that porewater PAH concentrations also increased with depth at most sites. This study informs future management decisions concerning the extent of impact to Bear Creek sediments, and demonstrates the benefits of a spatial approach, relying primarily on toxicity testing to assess sediment quality in a system with complex contaminant mixtures. The online version of this article (doi: 10.1007/s11356-017-9667-0) contains supplementary material, which is available to authorized users. A correction to this article is available online at https://doi.org/10.1007/s11356-018-1601-6. An erratum to this article is available at https://doi.org/10.1007/s11356-017-0174-0. The authors thank Elizabeth Friedel, Allison Satterfield, Amy Wherry, Wenqi Hou, Alex MacLeod, and Barrett Wessel at the University of Maryland Department of Environmental Science and Technology (ENST) for laboratory and field assistance; Terry Wade of the Texas A&M University Geochemical and Environmental Research Group for analysis of persistent organic contaminants; and Andrew Heyes of the UMD Chesapeake Biological Laboratory for metals analysis. The authors recognize Mary Ann Vogelbein and George Vadas of the Virginia Institute of Marine Sciences (VIMS) for assistance with porewater PAH analyses, Daniel Fisher (ENST) for internal manuscript review, and Sacoby Wilson (University of Maryland School of Public Health) for input on public health aspects of Bear Creek research. This research was supported by an ENST graduate assistantship and by a grant from the Chesapeake Bay Foundation. Biosensor analysis of porewater samples at VIMS was supported by the NIEHS-SRP grant RO1ES024245.